After the “Remaster of the Original Starcraft” Blizzard is back again with another remake. They are clearly not done with the remakes and so the next on the list is Blizzard’s one of the most appreciated game of all time – Warcraft 3. 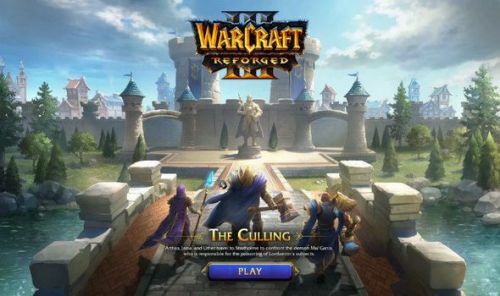 Warcraft 3: Reforged is basically a top-to-bottom remastered version of Warcraft 3 and its Frozen Throne expansion. This is not just the same Warcraft 3 with better graphics, it is a lot more than that. The game is changed as much as possible without ruining the old experience. Blizzard decided to make this 3-dimensional real-time strategy game a lot better than what it used to be. There is a lot of room for improvements for a game this old and Blizzard decided to work on all of them. They have remodeled all the characters with great detail. The Original Warcraft Map now comes with greater environmental details, complete with in-game cutscenes. The interface also has been reworked and presented with a more modernized look. Up-to-date multiplayer match creation is another attraction of this rework. Blizzard has not announced the date yet but the reworked Warcraft 3 arrives in 2019. The expected price would be around $30 USD. A special edition will be released as well for $40 USD, it will include hero skins and cosmetics for the game. Warcraft 3 is legendary on its own. It gave birth to the arguably most popular MOBA DOTA which now is Dota2. Warcraft 3 is more influential than Starcraft from that perspective. This was not only Blizzard’s first 3D release but also Warcraft:3 added a level of storytelling that was not experienced before in real-time strategy game. The history of Warcraft is very rich and complex. As for influence, From DOTA (Defense of the Ancients) to Dota2 or League of legends, the entire real-time strategy based MOBA genre would not even exist if it was not for Blizzard’s Warcraft 3.